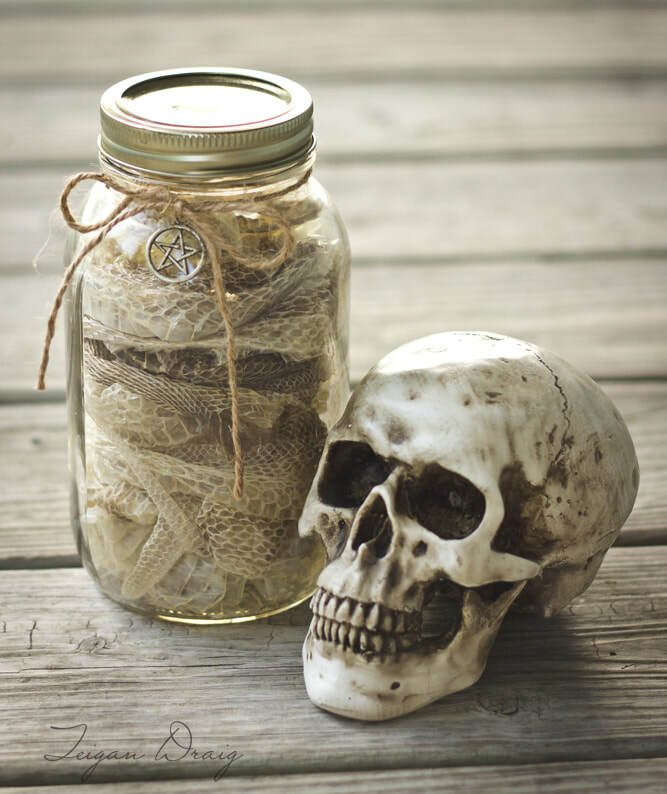 Snake skin has many uses in magick workings, and can be used in both light and dark magick. When using the shed skin of a snake in magick we must first consider the snake itself, and also why it sheds its skin. Snakes are patient and resourceful creatures. They are also powerful and determined when on the hunt and in self-defense, striking quickly and precisely. Constricting snakes wrap around their prey binding and subduing it until death where the prey is then consumed. Venomous snakes inject their prey with venom and patiently wait for the prey to succumb to the injected toxins before consuming their victim. Snakes are also beautiful creatures that can teach us about letting go of what no longer serves us. A snake sheds its old skin to reveal the bright new skin underneath representing new growth, transformation, and new beginnings. The snake leaves the old skin behind without a second thought. 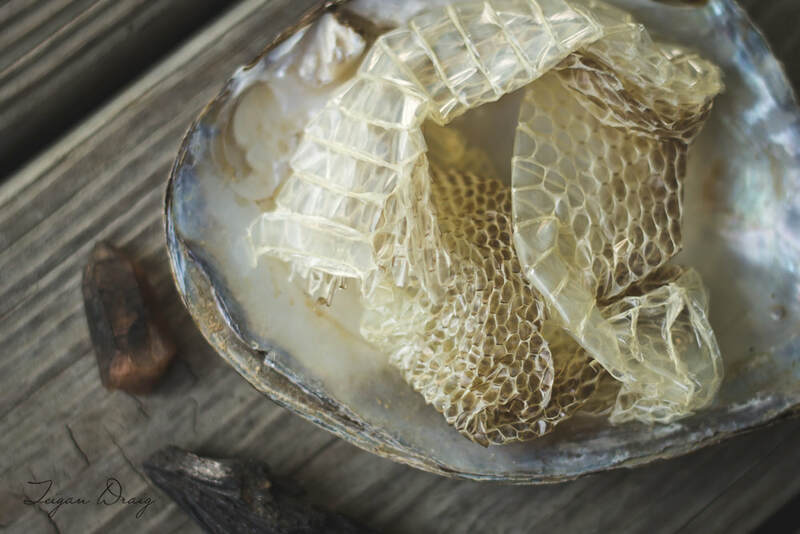 Shedding the old skin reveals the beauty of the fresh new skin. In considering this process, we can learn a lesson from the snake about leaving old patterns behind and letting go of what hinders us and hold us back. *Note: If burning snake skin, or blends that contain powdered snake skin, take care to do so outside or in a well-ventilated area. Snake skin STINKS when burned. Snake Skin - 12 inches $5.00. Limited quantities available. *Note: Whole snake skin humanely harvested from the wild or from snakes kept as pets. Snakes are sometimes known to carry salmonella. Precautions were taken to ensure any harvested snake skin was as clean as possible. Use discretion when handling and wash hands after use.